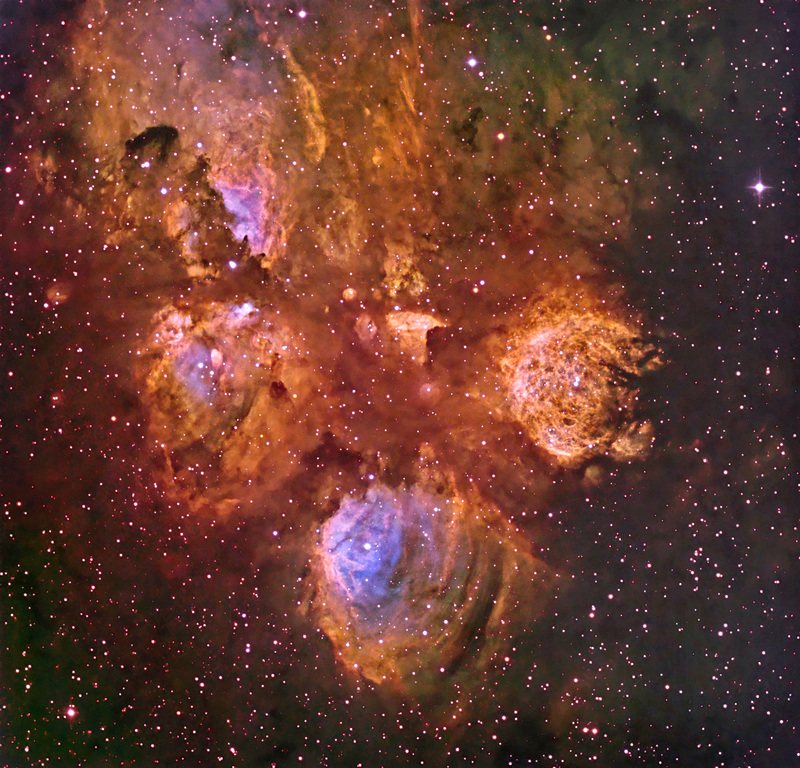 NGC 6334, The Cat’s Paw or Bear Paw Nebula in Scorpius. It was discovered by John Herschel in 1837 from the Cape of Good Hope in South Africa. This large region contains some of the most active sites of star formation in our galaxy. It is ionized by a samll number of O-BO stars. Similar to the NOAO image linked below, the coloration in this mapped color narrowband image was left a bit red to convey the considerable reddening of this object in the galactic plane.